Actors helping one another with putting the finishing touches on their costumes while running lines one last time. The Stage Manager working with the Lighting and Sound Board Operators to clarify recent changes in cues to make sure the timing was spot-on. Backstage Crew Members reviewing their pre-show checklist, making sure all set pieces and props were in the proper places and ready to go. IB students leading vocal and physical warm-ups for younger students for whom this was their first time performing. The Backstage Manager organizing her peers and reminding them that they had 15 minutes to “places”. Theater is not a solitary activity; collaboration and trust are integral in the success of any production. Each member of the team has a specific role in the production, all of which are significant to the success of the show. As a team, we rely on one another to bring all the pieces together to create one complete production. Throughout my years as a director, I have been amazed by the ability of theater to bring out a true sense of purpose and responsibility in all of my students. Augusto Boal, Brazilian theater director, politician and founder of the “Theater of the Oppressed” movement, once said, “We must all do theater, to find out who we are, and to discover who we could become.” In other words, theater pushes us out of our comfort zones and allows us the opportunity to not only challenge our own identities but also ponder realities different from our own. For me, this is the power of theater, especially in education. Last spring, we started something new…a performance festival! We strive for the festival to be the outlet that encourages and empowers our students to try out new roles in performances. Our second festival this past week brought authentic student work from the classroom to the stage, including work showcased from English, Music, Dance, and Theater classes. 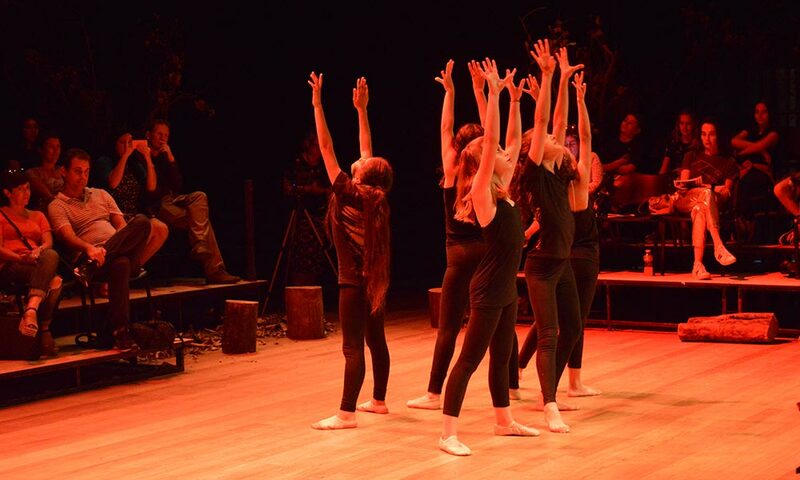 Expect more growth and creativity, as we expand the festival to include a wider range of performers and performances, featuring those within the Graded community and other local international schools. Upper School students must audition to be cast in the mainstage performances each semester. Rehearsing after school, these productions highlight the growing passion for theater at Graded. First semester, expect a straight play, followed by a musical in the second semester. Join us on November 9 & 10 for our upcoming show “Hoodie” & “Dear Chuck,” which examines the difficulty teens encounter while trying to find their way. Open to all Upper School students, students gather each Monday afternoon in the Black Box for dramatic fun! Run by student leaders, the group is dedicated to bringing the love of theater to the Graded Community. Next semester, student leaders have committed learning the art of clowning to bring joy into lives of others, specifically in partnership with Casa de Maria Helena Paulina Cancer Shelter. In grades 6-12, students are offered a wide range of elective courses from Acting to Stagecraft. These courses allow students the opportunity to immerse themselves and develop their understanding of the subject in a safe and supportive environment. This year, IB Theater returned to the Graded curriculum. This two-year course allows students an in-depth practical study of theatrical artists and theories on par with college level courses. Students must take on the creative roles of director, actor, and designer while applying analysis and research to their work. Students are expected to create and perform a wide range of work. There has been a great interest to have elementary students take to the stage. Luckily, we are excited to have administrative support to put on an elementary show this year during the 2nd semester. Stay tuned! Thank you for your continuous support of the ARTS @ Graded. See you at the show!